I am writing you this letter to thank you for visiting my school. I was thrilled when I heard that you were coming, and couldn't wait! It was even better than I thought it would be! So thank you, thank you and thank you again for visiting my school! So like you say GOOSHTY BORG!!!!!!!!!! I am writing this letter to say thank you for coming to our school on Friday. 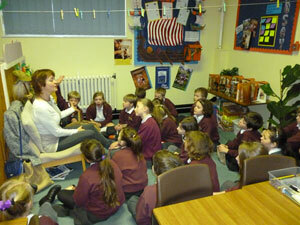 I had a great day and loved listening to you read The Boglers Apprentice. I bought Pipes and Potions from you, im in the middle of it and I think it's fantastic. Hi my name is Jack and I am nine years old. 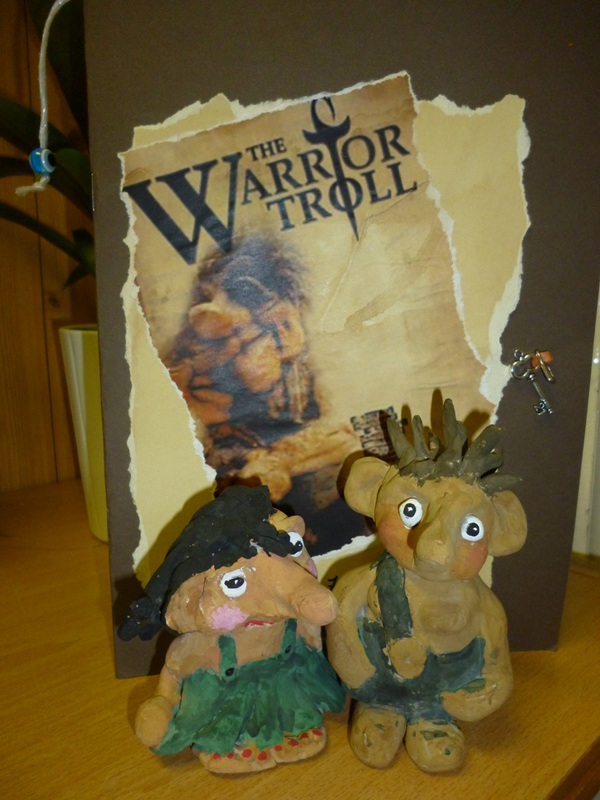 At my school we are reading The Warrior Troll and it is a great book. There are 90 children reading it. My favourite characters are Grimo, Scratchen and Tailo. My scariest bit so far was where the big people came and took all the treasure. This is the first book I really liked reading by myself. It was an adventure story and I really liked Thom because he was brave. The trolls have their own language and I liked Tailo and Scratchen. I particularly liked it when Wodan came to life. The author came in to school to see my class and signed my book. This book has something for everyone. For the children, they will unwittingly sense emotions from joy to fear, follow a plot that has its twists and great surprises but not so convoluted as to make it difficult to follow and be shown morals and values that are too infrequently underlined in today's society. For the parent, like myself, who enjoys reading to his children and looks back with fondness and envy at the "Jackanory" presenters of old, a wealth of characters to test the greatest of frustrated thespians and, simply, good fun to read. To describe the story anymore than the narrative available would give too much away. One feeling that overrides all others having finished the book - in these days of mortgages, bills, ipods and PS2's, who wouldn't want to experience just a little of Hildi and Thom's life? I bought this book for my son because they were reading together at school (Primary). Every single junior now has a signed copy, as we were lucky enough to have the author Rachael Lindsay visit our school and personally message and sign everyone's book. She spent the day discussing the story (and the other 3 follow on stories), talking troll, and encouraging the children's reading and writing. The juniors subject this term was trolls and vikings, and the whole school has embraced the warmth of the story, with everyone dressing as trolls and vikings for World Book Day. This is not just a book but an experience - a valuable tool for better literacy skills, emotional maturity, and a greater imagination and creativity. We have the next 3 books (messaged and signed by the author) ready to go. As my son was very behind in his reading, I have seen such a change in his engagement in reading. Highly recommended. This book was bought for our daughter. School asked if parents would buy the book as they are reading it in class. My daughter says that it’s a brilliant read, with a good story to it. Fabulous story line. Wonderful text. Could be used to discuss what is really important in life. I would recommend this read. A beautiful story, lovingly written. The wonderful illustrations set it apart from other books in this genre and age group, giving the characters such depth! Perfect for your little ones to read to and older ones to read on their own. I know my kids loved it! I won't spoil the story for you all, you just have to read it! 10 out of 10! 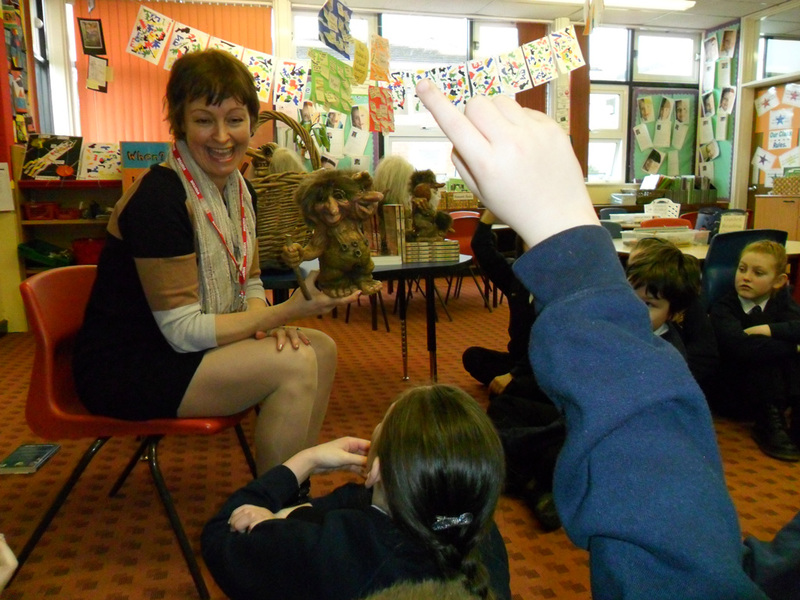 Darnhall Primary School had the absolute privilege of hosting a visit from Rachael Lindsay. 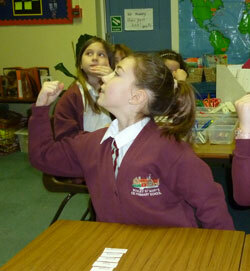 Rachael started the day with a KS2 assembly which mesmerised all of the children! The Year 4 and 5 groups then had an incredible time working in smaller groups with Rachael. 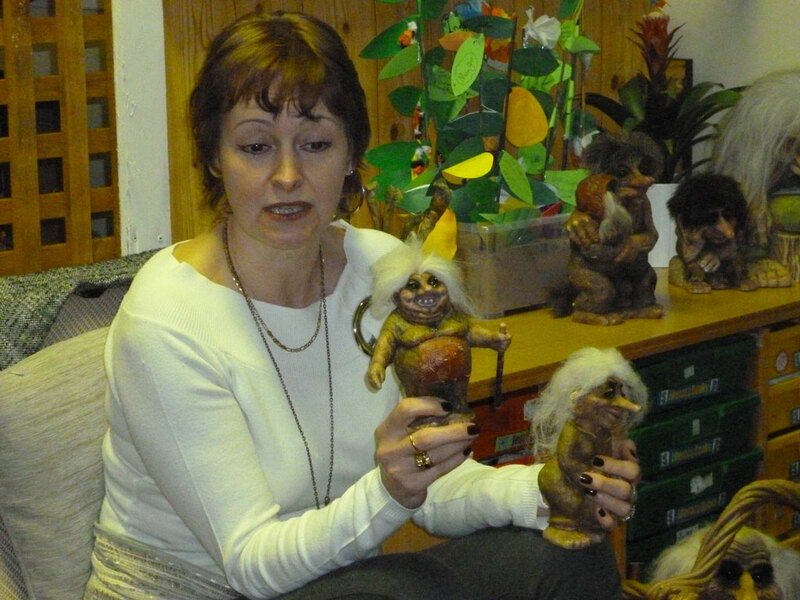 The children met the various trolls and then got to know a few of the trolls in detail...after learning how to converse with them! This was a fantastic start to our English unit for “The Warrior Troll”. The children are well and truly hooked and can't wait to find out more about the adventures of the trolls. Thank you Rachael, we couldn't have asked for a more perfect day. You were so well prepared and the children fell in love with both you and your little friends! 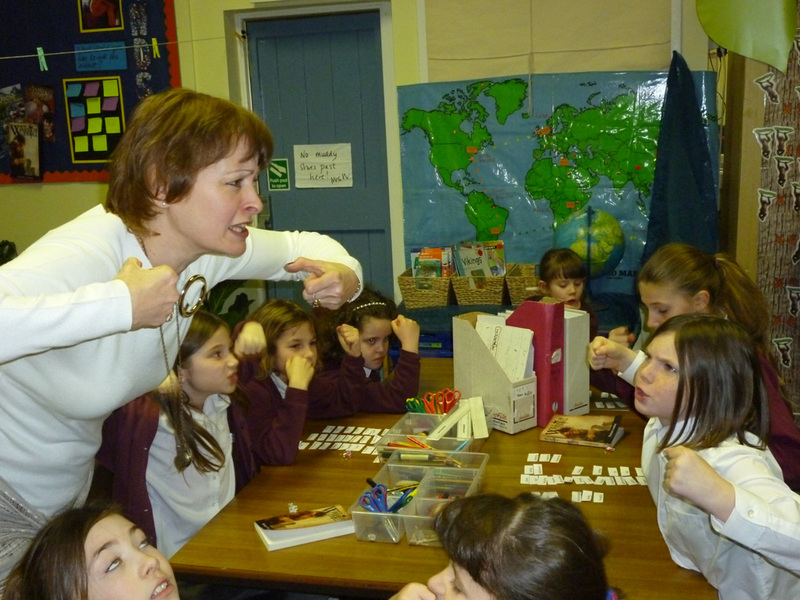 I was delighted to see how well Rachael interacted with the children in my class during her visit today. I should not have been surprised though: prior to the visit, she engaged willingly with the children by agreeing to receive, read and reply to their persuasive letters and by responding to our class blog. I am really looking forward to reading the children's writing which they planned as writers, using the ideas and stimuli Rachael gave them. 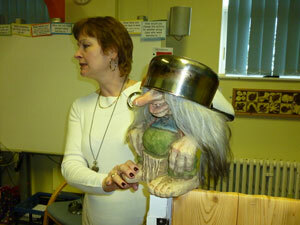 The trolls were also a huge hit, especially Hairy Bogley! Thank you, Rachael, for a wonderful visit which the children and I will remember for a long time to come. On behalf of Boughton Heath children and staff, I would highly recommend Rachael visits your school. She will invigorate and enthuse your children to want to become authors and this is something that does not always come easy! 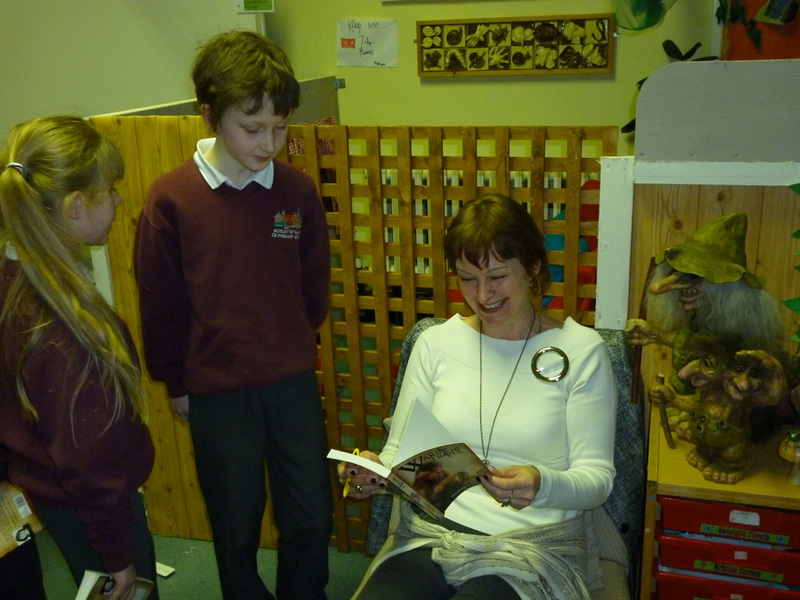 Thank you so much for your visit, I know the children enjoyed it greatly - maybe as much as I did! We have all gained so much and if you had a pound for every time I refer to your visit or mention your name during our work you would soon be very rich! I am very hopeful that we will be able to invite you back again for many years to come and if that doesn't happen it will not be through a lack of asking and wishing from myself or my team. Thank you so much for coming in! It was lovely having you. The children were so geared up and desperate to write in the afternoon! Will hopefully see you again at the course! Thanks SO much for today, I really enjoyed the day & I know that you have inspired my children. Fingers crossed for some excellent extended writing! I will find out tomorrow who wants books & thank you for offering to sign them. Take care and keep in touch about upcoming courses. Thanks again for coming in and apologies for not having more time to chat. You have a lovely way with the children, they really responded to you well. I thought the activities were perfect too. I didn't realise you'd written so much on each letter, it must have taken you ages! Thank you so much! You've given the children something to treasure. I hope you managed to sell a few books too. Good luck with the next one! I just wanted to thank you once again for your valuable input at our World Book Day celebrations last Friday. 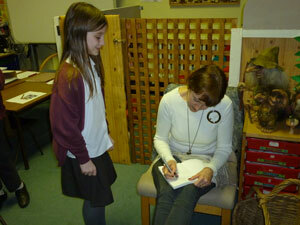 It was a great opportunity for the children to meet an author; it really made the process of writing real for them. Thank you also for your time, care & patience with the book signing; staff & children really appreciated your personal messages. I am looking forward to reading book number 3 & look forward to number 4! Thank you, fantastic feedback received from the children! What fantastic news Rachael - the blurb sounds amazing. My own Snorrie Magnus's are thriving - am expecting to deliver in early March so not that long now at all. If Hollywood or some great filmproducer/TV station don't pick this up and turn you into the next JK Rowling some thing is wrong...I can just imagine sitting watching your series as a Saturday Night BBC series like Merlin. Fingers crossed it is a great success especially as you are reaching into KS3...watch out Twilight Saga - the trolls are about. Rachael, it was a great day. Sorry to rush off - that's being a Deputy for you! 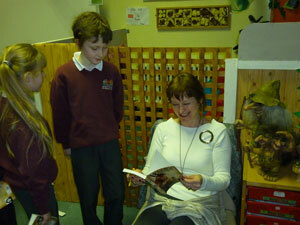 The children were full of it today with your books being read all around school. We've continued on in literacy from yesterday and will be coming up with our own trolls tomorrow for next week's work. You were really inspirational; even for a 'tough to ignite' group like mine. I just wanted to write and say a huge thank you for your visit to our school yesterday. The children thoroughly enjoyed meeting the trolls and listening to you speak about writing your books. It was a wonderful opportunity for them and they were all very inspired to write after listening to you. I hope you enjoyed your visit as much as we did.